A new mini finished this year. While I'm recovering from my wrist injury I'm painting at a middle level some 30mm minis. This is one of them. 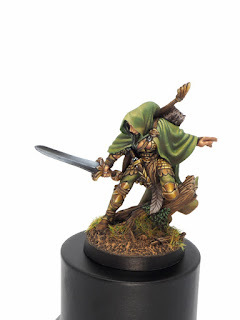 A Reaper Elven female. Hope you like it. Infinity's Haqqislam army: 3 new minis. Arsies' Painting ToolBox Stock released.